Age below 40. Should have passed preliminary level examination in any recognized accounting body like CA/CIMA/AAT etc. High Computer literacy & Experience of Computer base accounting software. (Quick Book) Should possess good communication skills in English. 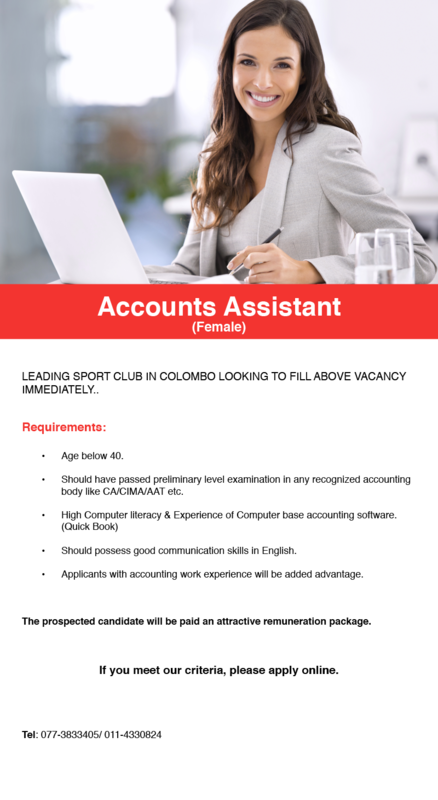 Applicants with accounting work experience will be added advantage.